There may only be one killer, but no one is innocent in this new thriller from Natasha Preston, author of The Cellar and Awake. 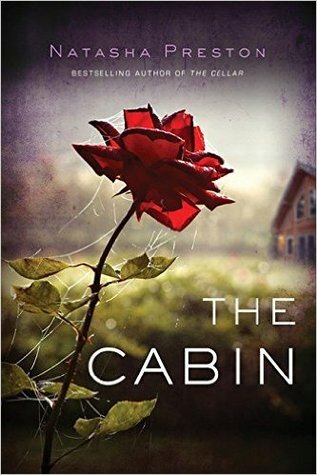 When Mackenzie treks to a secluded cabin in the woods with six friends, she expects a fun weekend of partying, drinking, and hookups. But when they wake to find two of their own dead and covered in blood, it's clear there's a killer among them. I have to absolutely thank Raincoast Books for having me a part of this amazing blog tour. I hadn't heard of Natasha Preston before this book, though I don't know how I missed her. This book was impossible to put down. I'm betting her previous books are just as intense and I know I will be searching for those in the near future. Right from the beginning, Natasha introduces readers to these characters but everything is very vague and you really learn that not everything is as it seems as the story continues. Everyone seems innocent in the beginning but everyone has something to hide and has a reason to be a suspect. Mackenzie is the most trusting person and it is hard on her to find out how everyone has their own secrets, even when she has hers as well. This book is hard to review because I don't want to give away all the secrets that come with it, and trust me there are a lot that make it hard to process sometimes. I actually found that Mackenzie reminded myself of me quite a bit in this book, she is the type who cares wholeheartedly about those that are closest to her. Mackenzie wants to protect everyone and she will always put them above herself in many situations. She wants to see the best in everyone and every situation, and sadly for her this can cause some problems and get her in more danger as things get more intense as they close in on the killer. But yet, throughout all these difficulties, Mackenzie also starts up a new unlikely friendship and Blake is the one person who can actually keep Mackenzie distracted and adds some good humour to a very dark story. I love how this book is about such a close group of friends and yet they each have huge secrets that affect how this group works. What is interesting is how the book opens up mentioning another accident, but it takes time to find out what it is that happened. There are secrets behind that evening as well, and it just seems that things keep piling up one after another. And now for an excerpt from the book! Two hours later, Blake and I were back at the cabin and indulging in drinking games with my friends. It didn’t take long for me to get tipsy again…and then go straight to being drunk. I still knew my name and the prime minister’s, but I’d definitely had one too many. Tipping my head back, I laughed hysterically until my stomach muscles screamed in protest. Everything that was only remotely amusing when you were sober was heightened when you were drunk—-so Kyle falling over was hilarious. He didn’t even go all the way down—-it was more like a stumble—-but I was drunk, so it didn’t matter. He stood up and looked around as if hoping no one had seen. “Piss off,” he snapped, narrowing his eyes at Courtney as she laughed too. “Touchy,” she muttered, leaning into Josh’s chest as he put his arm around her. If Courtney had tripped, she wouldn’t have found it funny. Could we not go an hour without someone arguing anymore? Pre--Josh we rarely bickered. I groaned and held my full stomach. It was full from stuffing my face with enchiladas, and it was probably the only reason I could hold all of the alcohol I’d drunk. Blake kicked his feet up on the coffee table and threw his arm over the back of the sofa behind me. Aaron’s baby blues turned suspicious as he watched us. I refused to meet his eye and wrapped my arms around myself, not liking being the center of anyone’s attention. My walk with Blake had caused a few raised eyebrows. My friends—-minus Court and definitely excluding Josh—-seemed to think he was bad news, but that was probably because he was related to Josh and they hadn’t really spoken to him yet. If they were giving Josh a second—-or tenth—-chance, they could certainly well give Blake a first one. Aaron was stubborn and protective though, so I knew he’d be the hardest to convince. “Oh my God, we’re gonna be so hungover tomorrow,” Megan whined. She wasn’t as drunk as she acted, but she had always been like that. She’d perfected her look--at--me wobble, blatantly tripping over her own feet. She didn’t like being drunk and losing control, but she didn’t like to be the odd one out, so she pretended. Everyone knew she pretended. I think she knew we knew, but we all went along with it and laughed at silly, drunk Megan wobbling. It was kind of ridiculous. “More shots!” Aaron announced, pointing to the empty shot glasses on the table. I had lost count of how many we had done so far. But as much as we had already drunk, we were going pretty slow compared to that night. Blake was surprisingly sober for the amount he’d put away. I suspected he drank quite a bit at home to have that kind of tolerance. He walked in a straight line when he got up for more beer. As the shots kept coming, I started to feel sick. My stomach turned, and every time I swallowed, I felt like my throat was pinching shut. Megan had brought some Italian liquor with her and made us finish the bottle because, as she put it, “If I take that crap back with me, my mother will disown me.” I could see why. It tasted of lemon and burned on the way down. It was probably what toilet cleaner tasted like. We also polished off Aaron’s bottle of spiced rum. I groaned and craned my neck. My body felt heavy and weak. I was getting to the sleepy part of being drunk. Everything was swimming and spinning. “Does anyone else feel weird?” I asked. God, I’ll be lucky if I’m not sick tonight. “Sort of. I guess,” I replied, pressing my hands to my face. I was too hot. Please don’t throw up. The taste and feel of it rushing up my throat made me panic.